Known only from a single tributary of the Salween River on the border of Myanmar and Thailand. It’s biotope consists of shallow, fast flowing water with a rocky substrate. Largely sedentary. A tank measuring 18″ x 12″ x 12″ (45cm x 30cm x 30cm) – 40 litres is more than adequate. Decorate the tank with smooth rocks and driftwood pieces. 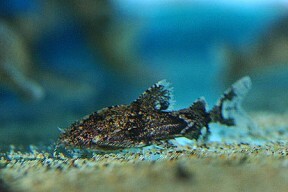 Use a sandy substrate, as the fish likes to bury itself. Well-oxygenated water is also a must. It is a nocturnal species and will rarely be seen if the tank is brightly lit. Temperature: 68-75°F (20-24°C). It will not do well in very warm water. Not a difficult species to feed. In nature it feeds primarily on small invertebrates, but in the aquarium will accept most small live, frozen and dried foods. If the tank is artificially lit, add food after lights out to ensure it gets its share. A harmless species that spends much of its time buried in the substrate or hiding in caves. 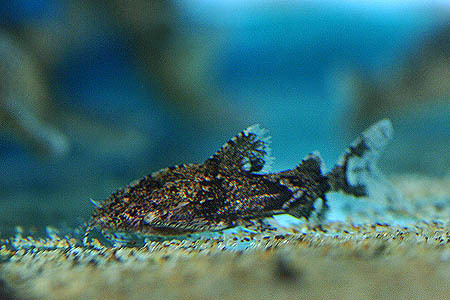 Good tankmates include other small reophilic Asian species, such as rasboras, danios, devarios and balitorine loaches. Avoid keeping it with too many other bottom dwellers though, as it will be easily outcompeted for food. It can be a little territorial with its own kind, so ensure each fish has a refuge it can call home. 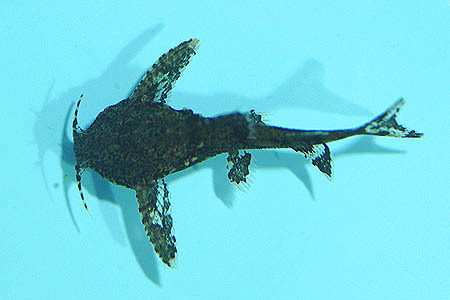 Has been bred in aquaria, but unfortunately little to no information is available. This species is now considered a member of the Hara genus by many experts, but as things stand it is still officially included in Erethistes. It is, in all likelihood, a Hara, as Erethistes is characterised by divergent denticles on the pectoral fins, whereas Hara possess outwardly pointing denticles. E. maesotensis has these outwardly pointing denticles. It’s quite rare in the trade, but makes an interesting addition to an Asian stream community tank if you can get hold of some.